Do you have home-cooking aspirations—but don’t know how to hold a knife or chop an onion? The first step in becoming more comfortable in the kitchen is to build a foundation of fundamental skills and home-cooking habits. In our instructive, hands-on cooking classes, we’ll teach you the very basic hard and soft skills that will set you on the right track to becoming a great home cook. During its pilot season, The New Boston Cooking School is offering beginning home cooks four classes on basic cooking skills. Take one course that interests you, or enroll in them all. You don’t need any previous cooking experience or prerequisites—just come ready to learn (and eat!). All classes are held on Wednesday nights at the Boston Public Market from 6pm to 8pm and cost $60. Join a class and learn more about the Boston Public Market here. Each class includes hands-on learning about indispensable cooking techniques and key behaviors for successful home cooking. Classes are two hours long, include dinner together with America’s Test Kitchen instructors, and take place at the Boston Public Market. Each class will have one lead instructor and two assistant instructors, all from America’s Test Kitchen, offering you individual and group instruction. After class, you will have access to this website, which includes class material to review and new content for continued learning at home. Knives are by far the most important tools in your kitchen, and when you know how to use them well, cooking becomes easier, faster, and more fun. In this hands-on class, we’ll teach you how to hold your knives properly, use them effectively, and care for them regularly. 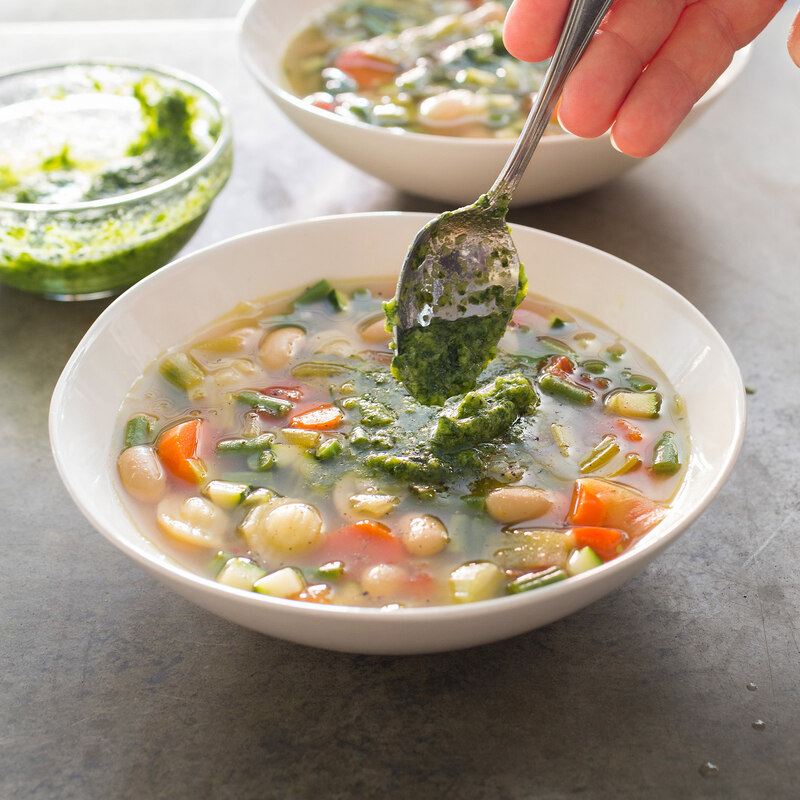 You’ll then put your new skills to work to make Vegetable and Bean Soup with Pesto. As we eat, we’ll have time for questions and conversation with America’s Test Kitchen staff. This class is vegetarian. Poaching is a very gentle cooking technique, and just about any type of food can be poached. Once you know the basics, you can poach chicken as easily as you can eggs or asparagus. What’s helpful for home cooks is that since the method doesn’t impart much flavor, poached foods are great to have in the fridge waiting to be transformed by different sauces and dressings. In this hands-on class, you’ll learn basic poaching skills that you can then apply to your favorite foods. 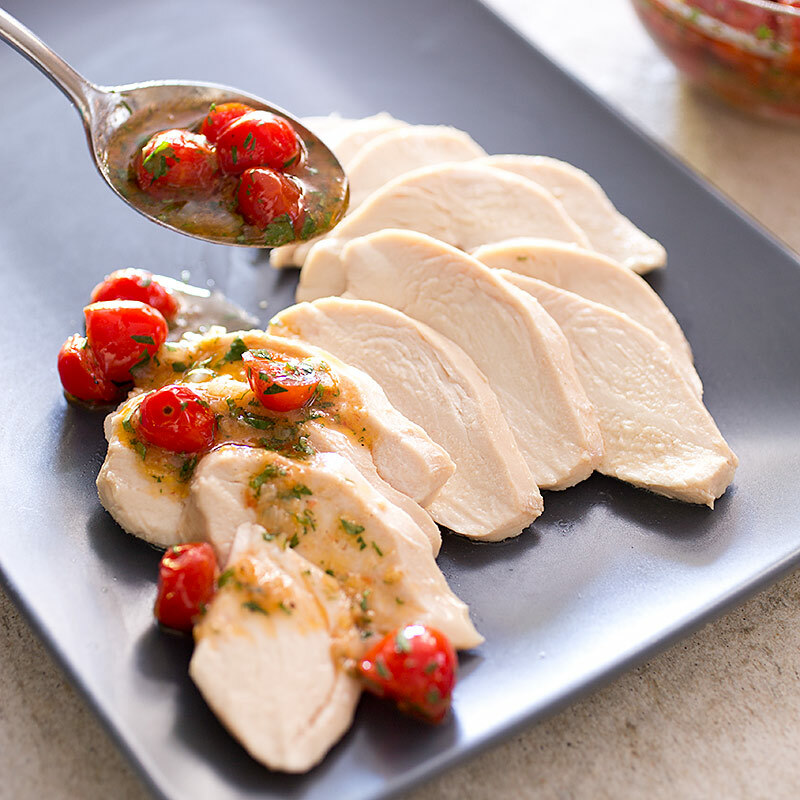 You’ll make Perfect Poached Chicken and two flavorful sauces so that you can learn just how versatile poached foods are. You’ll also learn essential home-cooking practices like how to read a recipe, plan your week’s menu, and cook in bulk so tomorrow’s lunch is done when tonight’s dinner hits the table. As we eat the meal you made, we’ll have time for questions and conversation with America’s Test Kitchen staff. Stir-frying is the ace up the home cook’s sleeve. A quick way to prepare a meal on the stovetop, stir-frying is an essential skill for getting a delicious meal on the table in little time. In this hands-on cooking class, you’ll make a delicious beef and broccoli stir-fry and learn the foundational steps and skills of hot skillet cooking. At home, you can apply the same key steps to any number of ingredients for flavorful results. You’ll also learn about space and time organization in the kitchen, how to read a recipe, and other essential home-cooking behaviors. As we eat the meal you made, we’ll have time for questions and conversation with America’s Test Kitchen staff. This class is gluten-free. Braised meat is the economical home cook’s ally. Full of flavor and less expensive, the meats we use in braising also demand little hands-on time to be transformed into delicious suppers with plenty of leftovers. In fact, most stews and braises taste better the next day. With braises, while tonight and tomorrow’s dinner cooks, you can finish up your day’s work outside of the kitchen. 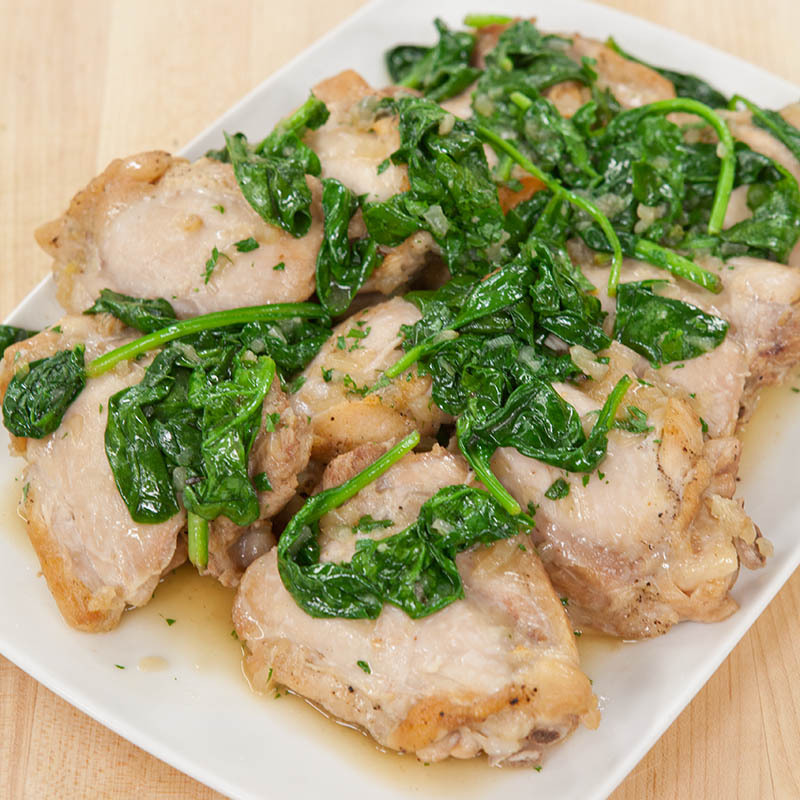 In this hands-on cooking class, you will make braised chicken thighs with herbs and spinach along with cauliflower braised in spices. As you cook, you’ll also learn essential home-cooking practices like planning ahead—including planning for leftovers—and not wasting food. Over the dinner you made, we’ll have time for questions and conversation with America’s Test Kitchen staff. *A NOTE ABOUT MENUS: During the pilot phase of The New Boston Cooking School, we are unable to accommodate dietary requests and preferences. As our curriculum expands, we plan to include classes for everyone. We thank you for your patience and would love your feedback on what kind of beginning home cooking classes you would find helpful.